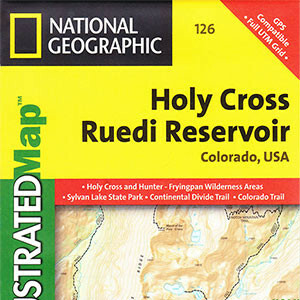 National Geographic Trails Illustrated Map of Holy Cross/Ruedi Reservoir. 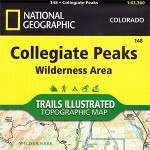 Contains a topographical map of the Holy Cross Wilderness area and portions of Hunter-Fryingpan wilderness area. 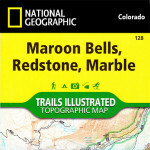 The Trails Illustrated Holy Cross Wilderness map (#126) is a topographic trail map of the Holy Cross wilderness area near Vail, Colorado. Printed in color on durable tear-resistant plastic. It is everything you need to navigate the trails of the Holy Cross area. 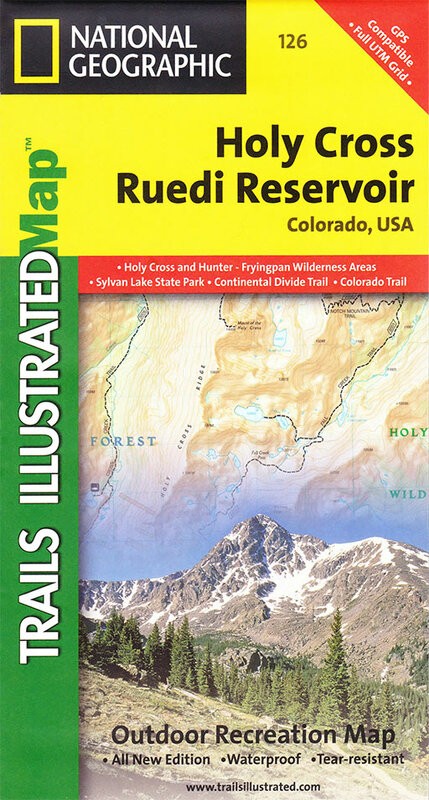 The map covers the entire Holy Cross Wilderness as well as parts of the Hunter Fryingpan Wilderness and surrounding White River National Forest: Homestake Reservoir, Tennessee Pass, Sylvan State Park, and the town of Minturn. TRAILS: Fall Creek Trail, Fancy Pass, Cross Creek, Missouri Lakes, Half Moon Trail, Continental Divide Trail, Colorado Trail (Camp Hale to Tennessee Pass), Deluge Lake Trail, Lost Lake Trail, Bighorn Creek Trail, and more. Latitude/longitude and UTM coordinates are located along the map border. 1000 meter UTM grid. 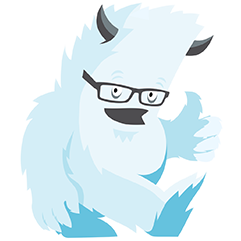 When used with map datum NAD 27, these coordinates provide an approximate location fix. Selected waypoints are included on the map. Dedicated to educating the public about Colorado's wild lands and promoting responsible recreation and conservation.